Performance Via Ready, Set, Go! With a new year upon us according to many calendars – though the natural year can be seen as beginning at the winter solstice – we would like to help you to be at your best during the coming days, weeks, and months. Our title and photo may conjure thoughts of a foot race, but we instead want to show how the simple idea and three-part process of ready-set-go can help us and our groups be more successful, whether at the start of a year or during other important events and times. In practice, consciously organizing ourselves or our groups for new years and other challenges and opportunities is similar in process, and can use the same basic steps, as preparing for a race. But unlike racing, these larger life preparations are normally far more important for our health and quality of functioning than any race we will run. > Ready – preparing for a new year or another event begins by bringing our awareness to the fact that the coming time or event is here, or near, and then seeing this as an opportunity to increase our quality of life, growth potential, or performance – all relative to less attentive, aware, conscious, or deliberate functioning. > Set – with readying awareness of a new time period or event, or even of the new moment always before us, the next step is to ensure clarity regarding what we most want to achieve in this time. Similar to making resolutions, this step involves reviewing our goals, and then ensuring that we have clear and realistic steps or milestones in place for achieving them. > Go! 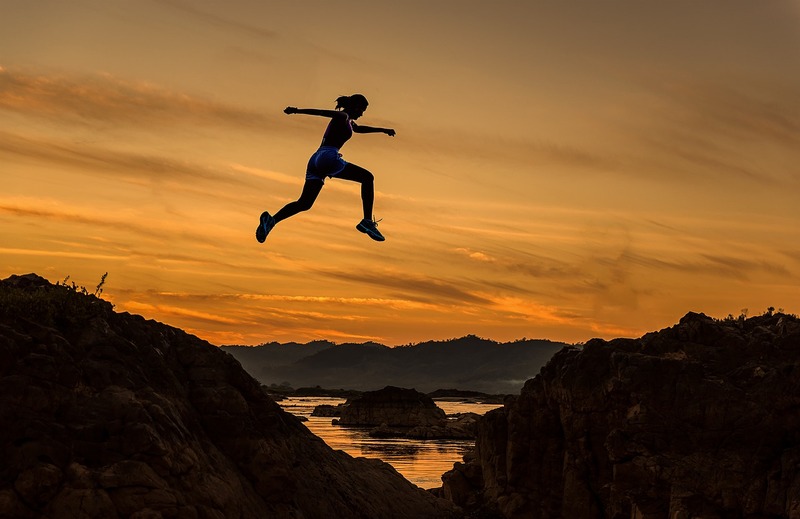 – with a review of our goals and plans, the final step is to launch into them – notably with vigor, force, commitment, awareness, curiosity, and inventiveness. A useful way to aid this third step is by distilling our plans down to the 3-5 final outcomes or building milestones we most want to achieve in the next 30 days, a practice we can repeat at the start of every new month, or more often. As you can see, this three-part process is simple and flexible, reflecting its long evolution and use. Importantly, it is also engaging and motivating, and offers us the prospect of far greater attentiveness, deliberateness, and performance in many domains. We hope you will explore the approach, now and over time, and that it will prove useful and even unexpectedly powerful in your life and groups. We would enjoy hearing about your plans and goals for the new year, or for another new event or time in your life or work, and the resources you have and challenges you face. Write to us anytime at Contact HumanaNatura, and learn more about HumanaNatura and our natural health system at Welcome. Greetings from HumanaNatura at the solstice! Around the world, we are now at one of two crucial milestones in the natural year. Today is the shortest day, start of winter, and beginning of a new natural year in the northern hemisphere. And it is the longest day, midpoint of the year, and start of summer in the south. 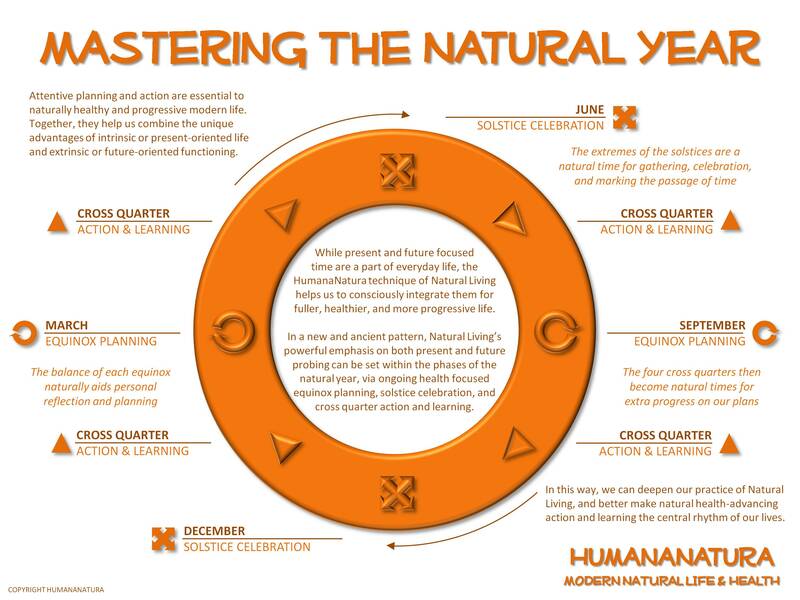 In the HumanaNatura natural health system, and as explained in our Mastering The Natural Year graphic and post, we encourage spending this and every solstice with family, friends, and community. With the extreme light and heightened feelings that come with the solstices, it’s a natural opportunity to celebrate progress in our lives and Natural Life Plans, break from our routines and seek new perspective, and encourage greater health and progressivity in others. Our newest community newsletter was released today as well, which is published eight times yearly in harmony with the natural year, providing updates to our members on HumanaNatura’s programs, resources, and worldwide health campaigns. To receive future HumanaNatura newsletters, or to learn more about our global practitioner-advocate network, go to Join HumanaNatura.